Looking to purchase a new lens for your Nikon DSLR, but aren’t sure which one to get? So you’re looking to upgrade your collection, and in search for the best Nikon lenses for your camera? The lenses you’ll need depend on what you like to shoot. The most popular choices include a telephoto zoom for shooting sports and wildlife; and an ultra-wide-angle zoom for landscapes. Another popular add-on is a ‘fast’ prime lens with a wide aperture rating – ideal for blurring the background in portraiture. You can see our selection of popular lenses for Nikon DSLRs that are highly affordable, and have excellent image quality (especially the prime ones). Here are the best Nikon lenses and top budget alternatives for your DSLR. The Nikon 35mm f/1.8G AF-S DX is cheap, small and delivers high quality, sharp images, so it’s no surprise that it’s first on our list. Aperture f/1.8 aperture is brilliant for low light situations, and it will also blur the background, making your subject really stand out. Colors, sharpness, contrast, these are all superb for such a cheap lens. While the lens above will only work on DX cameras, the Nikon 50mm f/1.8G AF-S FX is designed to work perfectly on all Nikon’s DSLR cameras (the 35mm isn’t designed for full frame cameras). They’re actually quite similar; same good image quality and sharpness, but the 50mm f/1.8 is a little bit bigger, heavier, costs more and takes 58mm filters instead of 52mm. Nonetheless, this is another excellent choice for portraits, indoor and day to day use. For wildlife and sports, you need a telephoto lens, and the Nikon 55-200mm f/4-5.6G AF-S DXis your cheapest option that has good image quality throughout all lengths. It comes with improved optics and Vibration Reduction compared to the previous version, and is perfect for DX models (like the D3300). For portraits, concerts, street or night photography, the Nikon 85mm f/1.8G is an amazing choice! It’s one of the sharpest prime lenses available, it’s got a Silent Wave Motor for accurate auto focusing, SIC (Super Integrated Coating for more vibrant colors) and outstanding bokeh. 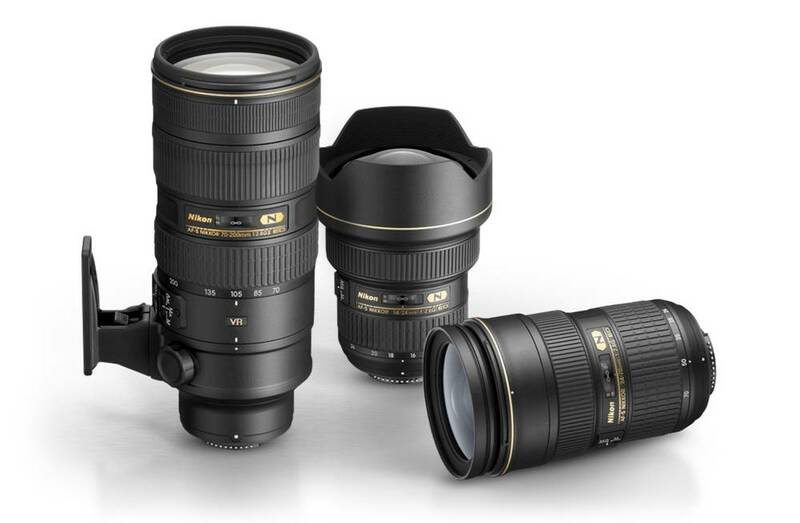 For twice the price, the Nikon 55-300mm f/4-5.6G ED AF-S VR offers 100mm more reach than the 55-200mm, SWM for quick and silent focus, and pretty much the same image quality and colors. Another DX lens, this time an all-around wide to telephoto zoom. The Nikon 18-300mm f/3.5-6.3G ED VR is perfect for those who only want one lens, whether you travel, don’t need more lenses, or simply don’t want to carry around too much stuff. Image quality is good, it’s not the cheapest lens out there, but it’s a perfect choice for those who want to be able to capture almost everything at any time! It’s twice as expensive as the f/1.8 version, but the Nikon 50mm f/1.4G offers more than just a third-stop larger maximum aperture (indoor and for portraits, even the smallest change is noticeable). It’s still a popular lens, but I recommend you to get the 50mm f/1.8 since image quality and sharpness are absolutely the same (at f/1.4 it can be too soft for some people). If you’re more serious about sports and wildlife, then the Nikon 70-300mm f/4.5-5.6G is worth every dollar (still being affordable of course). It delivers better image quality and is faster at focusing than the telephoto zooms above, and is also better at 300mm. For indoor photography, you’ll have to bump up the ISO in order to get crisp shots. The cheapest option if you’re into macro photography is the Nikon 40mm f/2.8G AF-S Micro, a high quality, all-around macro lens. A lot of people think macro lenses somehow zoom into the subject, which is false. The glass elements inside actually make the subject appear as big as it is in real life, which we call 1:1 ratio (or 1x magnification). A lot of companies mark their lenses as macro, but if it’s less than 1:1 ratio it’s just false advertising. It uses SWM, a Silent Wave motor for silent and precise auto focusing (a must if you’re photographing bugs that fly away quickly), has a closest focusing distance of 6.4 inches and delivers superb images. Amazing image quality, large aperture f/2.8, great build quality and fast auto focus; also known as the Nikon 70-200mm f/2.8G ED VR II AF-S. Whether you’re a professional or an amateur photographer who wants the best for their money when it comes to quality, you will love this lens. The range and big aperture are a perfect combination for sports, action, portraits, concerts, weddings and much more.